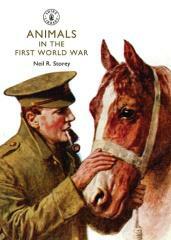 Animals played an important part in helping the Allies win the First World War, well beyond cavalry horses that charged fields and hauled heavy guns, and included a variety of animals in different but essential service. Pigeons were trained to carry messages, dogs sniffed out wounded soldiers on battlefields, and camels were used for desert transport on the frontlines. Some animals acted as vital morale boosters and mascots like ships' cats even baby orangutans! This book examines the jobs that these animals did, achieving heroic feats and simple acts of loyalty and companionship, all with enormous value in winning the war for the Allies.